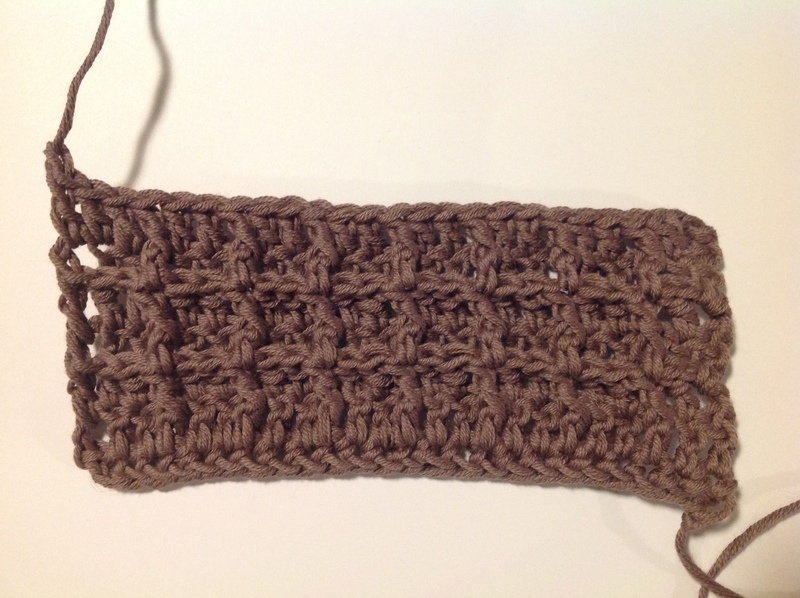 Waffle stitch is one of those stitches that I thought would be really complicated, but it turns out to be incredibly simple. It’s just treble (US: double) stitches done either in the top of the stitch below, or around the front of the post of the stitch below. By alternating, it creates a grid pattern. Very clever! !